We Are Proud to be Green at Secrets Maroma Beach! We’re extremely excited to announce that Secrets Maroma Beach Riviera Cancun has become a certified member of the Rainforest Alliance! Today’s blog post comes courtesy of Raquel Del Valle, e-concierge at Secrets Maroma Beach. 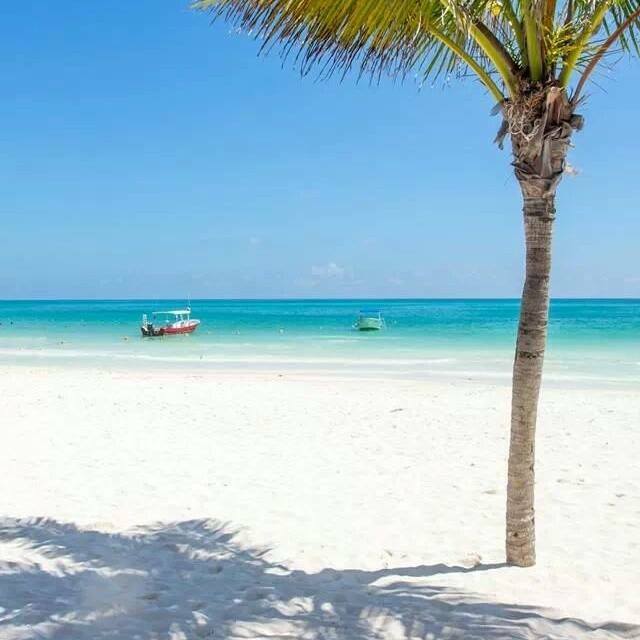 The stunning natural beauty of the beach at Secrets Maroma Beach Riviera Cancun is well worth preserving! After an excellent year of productive work, Secrets Maroma Beach is proud to announce that we have been certified by the Rainforest Alliance for our environmentally friendly practices. 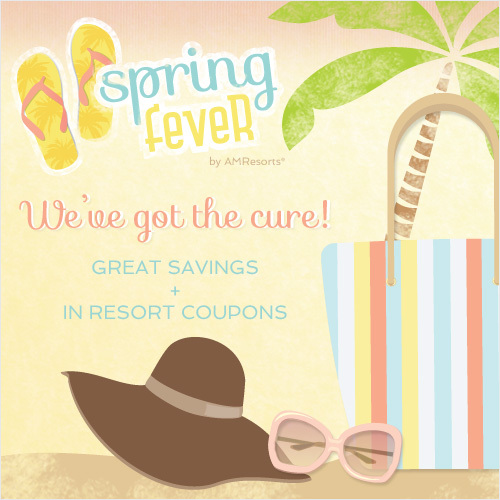 Secrets Resorts & Spas have the cure for Spring Fever! What are you waiting for? Cure your Spring Fever today and reserve your getaway now! 3 Ways to Save with Triple Play! Are you trying to squeeze in a last minute vacation before the new year, or start out your new year the best way possible? If so, hurry and reserve your Triple Play getaway today! 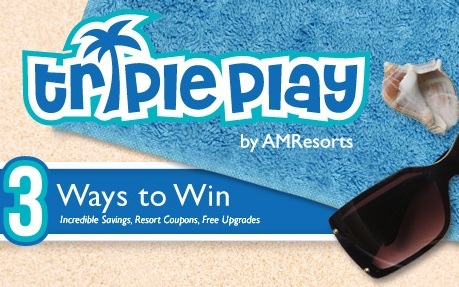 With Triple Play, you will have three ways to save and win big! Get up to 40% savings on your Secrets getaway, enjoy up to $200 in resort coupons and receive a free room upgrade at select resorts. What is greater than that? Plus, you can enter our grand-prize giveaway where you could win a 7-night, Unlimited-Luxury® getaway for two! Hurry, reserve your vacation now and start saving, because this offer ends this Saturday, December 22! We’ve added a customer testimonial page to SecretsResorts.com to give you an inside look at what guests have to say about various Secrets Resorts & Spas while still on the property. Secret’s employees have been asked to channel their inner “Steven Spielberg” by filming guests at the resorts while soaking up the sun. Check out the most recent testimonials from Secrets Capri Riviera Cancun and Secrets Silversands Riviera Cancun for a firsthand report of what makes each resort so incredible. And we’ll be adding more videos on the customer testimonial page so check back to see what vacationers think about each property! Secrets Capri Client Testimonials from AMResorts on Vimeo. Secrets Silversands Client Testimonials from AMResorts on Vimeo. Over the last few years, we’ve established a blog for Secrets Resorts & Spas, grown our Facebook fan base for the Secrets brand to over 57,000 fans and acquired a Twitter following of more than 6,000 people. We are excited to leverage social media as an opportunity to “meet” our fans, followers and guests online, and we figured it’s about time we introduce ourselves, the AMResorts Travelistas! We’re the ladies bringing you the latest posts, news, tweets and updates online every day. We write the posts for all our blogs, partner with our properties to update our resort Facebook pages, tweet out updates and stories, and otherwise let our presence be known throughout the (virtual) travel industry. Now, without further ado, I present the Travelistas! Secrets Resorts & Spas recently launched our Triple Play promotion, which provides guests three ways to win – incredible savings, weekly upgrades and a chance to win a 7-night stay! Incredible Savings! From now until November 30, 2011 for travel through June 22, 2012, guests can save up to 40% off your Unlimited-Luxury® stay at any Secrets Resorts & Spas. Plus, you can enjoy up to $400 in resort coupons to use towards spa treatments, fine wine and romantic dining. Reserve now. It’s a 10 Year Celebration and You’re Invited! For now until September 10th for travel through December 23rd, 2011, guests can save up to 50% on their Unlimited-Luxury® experience at any Secrets Resorts & Spa. We’ll also throw in resort coupons for discounted resort extras. Enter now for your chance to win your very own 7-night stay in a Presidential Suite at one of your favorite Secrets Resorts & Spas!